Lee's Summit, Missouri Tourism | "Your's Truly"
For girls ages 3-12 and fathers, step-fathers & grandfathers of all ages. $25/person for LS residents until Dec. 31. Fee includes dinner,dancing, 5x7 photograph, rose and a small gift for each girl. 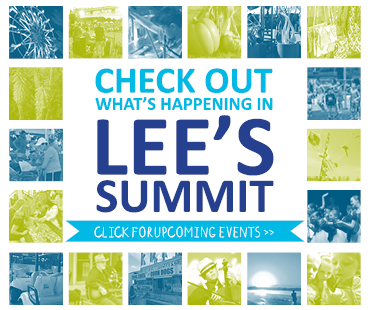 Share Lee’s Summit With Friends! In Lee’s Summit, we know how to have a good time and celebrate life. Come see for yourself and experience our food, music, culture, art and more at one of our unique festivals. Lee’s Summit sets the table to satisfy any palate. From mainstream to main street and quaint coffee shops to mouth watering barbecue and specialties, you won’t go hungry. We invite you to make yourself comfortable in Lee’s Summit. Take a break from the demands of everyday life, relax, kick back and make some memories. Love to shop? Lee’s Summit is a dream for the most passionate shopper. Whether you’re into one-of-a-kind finds or name brands at national retailers, you’ll find it in Lee’s Summit! Have any questions regarding upcoming events or the latest attractions? Request a copy of our latest Visitor's Guide for detailed information and specials on dining and attractions! Copyright � Lee's Summit, Missouri Chamber of Commerce. All Rights Reserved.